This year's Poc Fada competitions were hit by further controversy after the national women's winner was not declared on Saturday amid confusion over who had triumphed in county Louth. Earlier this month, the Ulster finals were hit by sexism allegations over the men's and women's prizes. On Saturday, there was confusion whether Waterford's Patricia Jackman or Galway's Catriona Daly had won. Jackman was declared the winner on Sunday night with Daly second. Attempts on Saturday to reach the competition referee to get clarification failed. 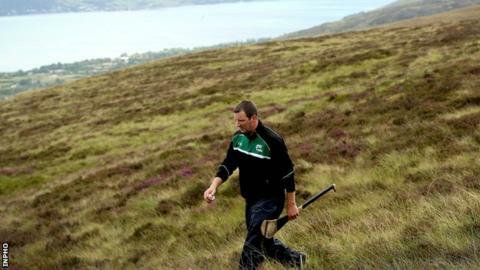 With the referee having already left the mountain and apparently not contactable, the camogie association was forced to defer the announcement of the winner, pending clarification. Jackman took the honours, on a score of 27 pucks and 34 metres, with Daly finishing in 27 pucks and 32 metres. However, Jackman's score was initially posted as 28 pucks and 34 metres, thus leading to Daly believing she had claimed a first ever title. Daly was beaten to the title 12 months ago by Jackman, when both finished on 29 pucks, with Jackman's final shot going 47 metres further over the finish line. Earlier this month, Ulster women's winner Catherine McGourty was left shocked after she received a medal for winning the provincial title when the men's champion's prize included a skiiing holiday. In response, Ulster Camogie said that the men's prize had received additional sponsorship which had included the skiiing holiday prize. Following the controversy, Gaelic Games newspaper Gaelic Life offered county Down woman McGourty a £500 holiday voucher. In Saturday's men's competition in county Louth, former Tipperary hurling goalkeeper Brendan Cummins celebrated a fifth successive national title and his ninth triumph in all as he finished ahead of Laois man Eoin Reilly.